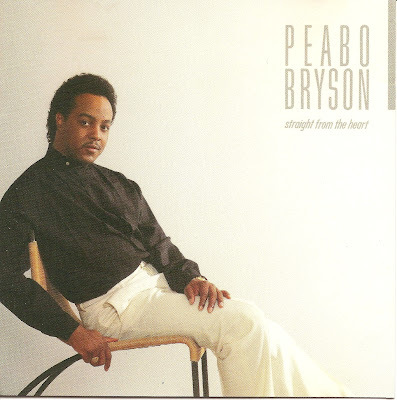 Peabo Bryson (born Robert Peabo Bryson on April 13, 1951) is an American R&B and soul singer-songwriter, born in Greenville, South Carolina. He is well known for singing soft-rock ballads, (often as a duo with female singers) and his contribution to several Disney animated feature soundtracks. 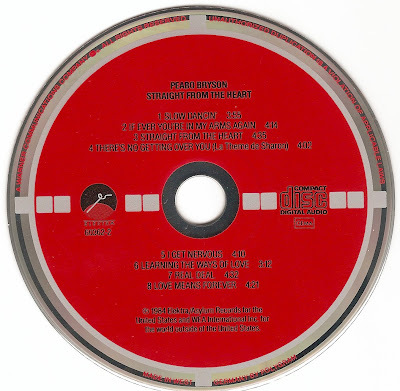 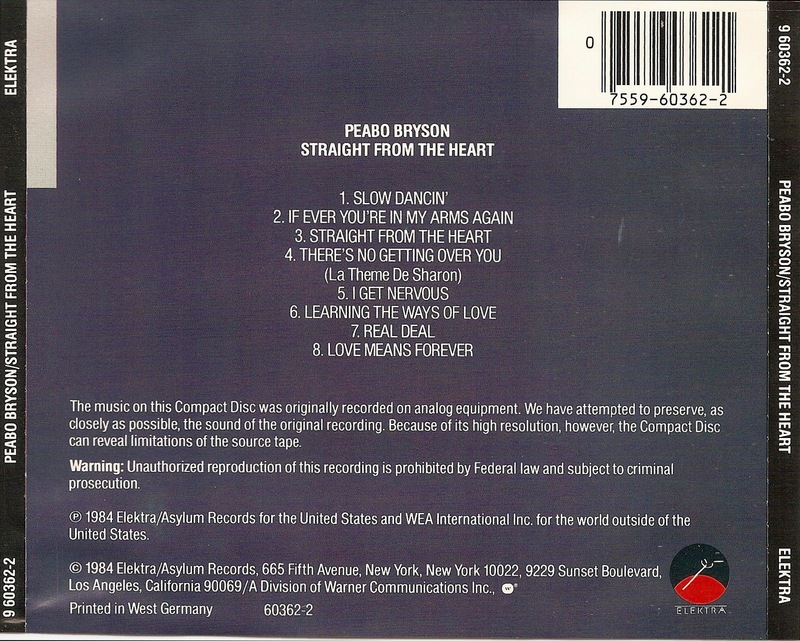 Straight From The Heart is the tenth full-length album from R&B/Soul singer-songwriter Peabo Bryson. 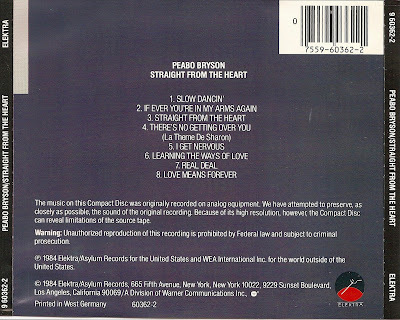 It was released in 1984 on Elektra Records; his first of four discs for the label.